Office space within a period building that dates from 1906 on a world renowned street in London’s West End. The Edwardian building contains many original features but has a very contemporary feel to compliment them, the modern furniture and bespoke fixtures are at the cutting edge of design. There are five meeting rooms and a club room event space that can be hired as and when you need them or why not use one of the breakout spaces and relax with a coffee? All of them come with Wi-Fi and catering can be arranged if required. The offices and communal spaces are flooded with natural light through the original large windows. Located on London’s famous Oxford Street. 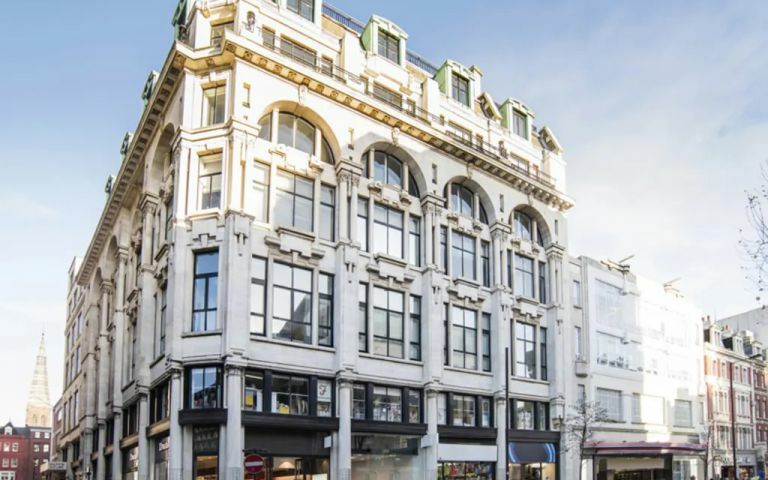 An exclusive location offering ease of access to the best of London’s iconic attractions and most famous shopping destination offering more than three hundred shops, designer outlets and landmark department stores, including the legendary Selfridges. We are leading the workspace revolution. Our spaces are the most inspiring, comfortable and productive work environments you’ll find. Easy Offices Where is the nearest coffee shop to Winsley Street? Easy Offices Where is the nearest public gym to Winsley Street? Easy Offices Where is the nearest place to get lunch near Winsley Street? Easy Offices Where is the nearest car park to Winsley Street?